Bi Color LED ballast with V-Mount battery mounting - Cinetile power to go! LCM205 is a very small and therefore bi color LED ballast for all Sticks & Bricks based modules. With an output power of up to 100 watts, all Cinetile LED systems can be operated as desired. The special highlight of this bi color LED ballast is that it can be operated both on mains voltage and also with V-mount battery. 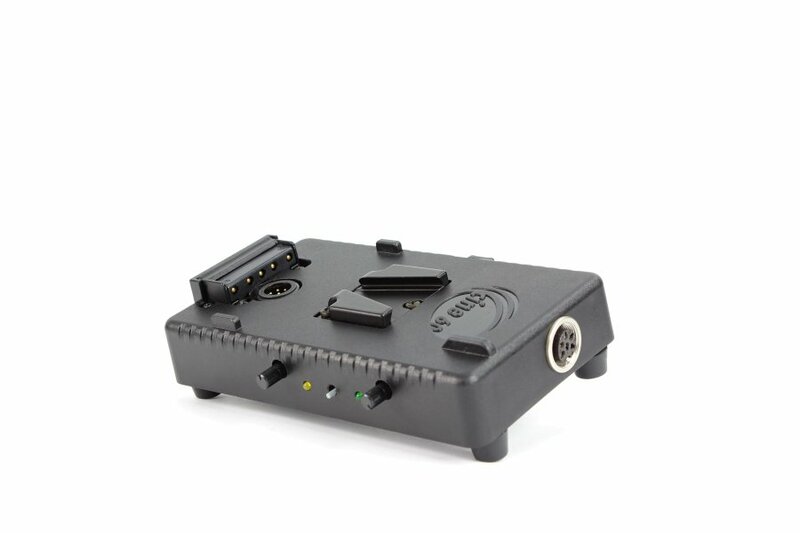 With just 300g of weight, the LCM205 is particularly suitable for mobile applications. The brightness and color temperature are controlled by two step less rotary knobs on the side. This bi color LED ballast provide two output channels one for hot and one for cold white. 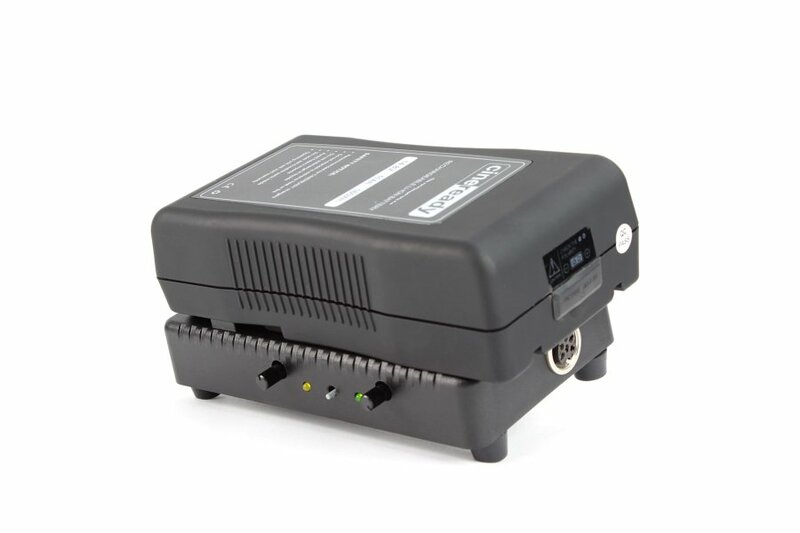 In addition, the control of the connected LED systems is flicker-free and thus allows the use in high-speed recordings up to 1500 fps. This small bi color LED ballast should not be missing in any kit on the set. In combination with the Sticks & Bricks, you can create great light scenes in the smallest spaces! 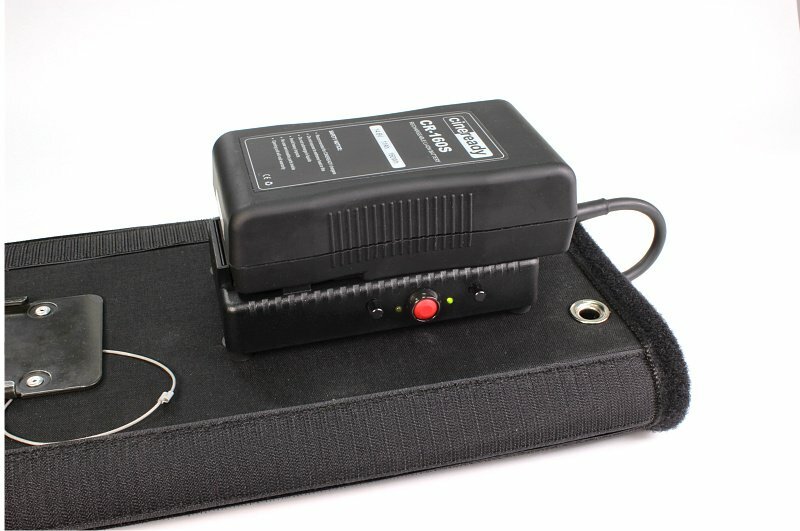 You can use all commercially available V-Mount batteries with 12-24 volts. Our BScab cables provide a secure connection to Sticks&Bricks, Butterfly-LedZ or SmartWing LED systems. Especially for shootings in vehicles this bi color LED ballast can convince completely. The power supply can be provided via the 12V cigarette lighter. As a result, the scene illumination without fixed current sources is possible at almost any location. 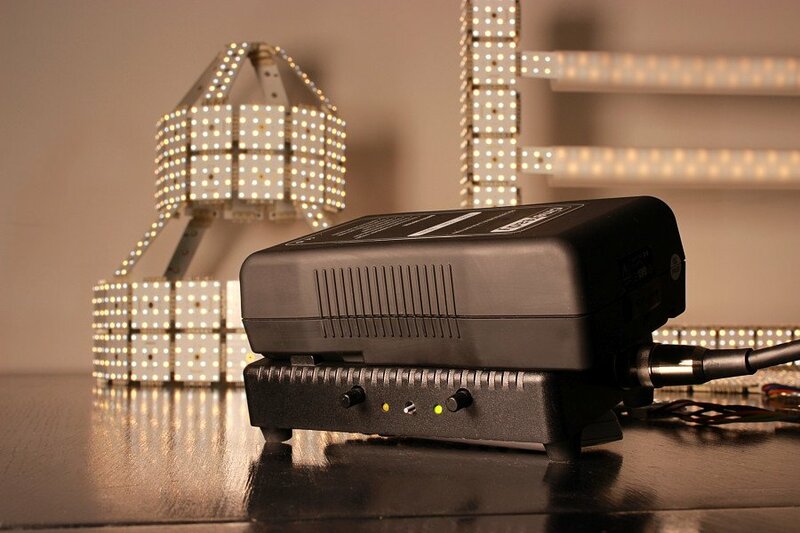 The Dop´s and Gaffer´s love this extremely useful bi color LED ballast. Because of its use, faster position changes are possible for light setting.